WPC Door Frames are becoming popular across metros and rural areas, just because of its following properties. It is becoming ready to fix the product. It has 3 x 2 inch, 4 x 2 inch and 5 x 2.5 inch size formats. We supply frames in Seaham color and Pine color. 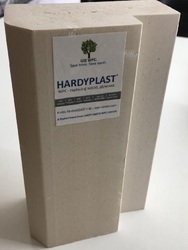 HardyPlast launches India's first 'Premium WPC Door Frame. Made out of 100% virgin PVC, Long natural fibers and only 5% calcium substrate. Best in dimensional stability and natural colour. 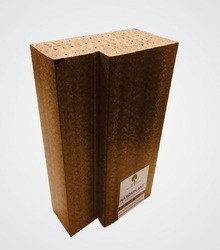 This product is made and focused only for 'Architect' segment and projects. 6 x 2.5 inch dimensions. Standard length available is 7 ft and we can supply any customized length in case of MOQ of 50 frames. This format of frame is becoming very much interesting for builders, architects and retail customers. Termite and borer cannot damage these frames and it can hold screw very well. Rectangular WPC Door frame is a definition we use for our standard and premium both the door frames. 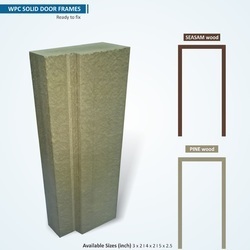 We make Rectangular door frames in WPC, as well we make designer door frames also. 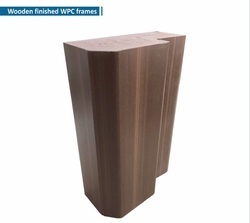 WPC Door frames in rectangular shapes is a specific demand from architects for their symmetrical design jobs. Right angle corners of the frame gives them decent modern look. Packaging Details: Each frame in each size is packed in a corrugated box. HARDYPLAST WPC Frames, a most popular range of WPC door frames from India. Having exhaustive range made of European and Chinese technologies can offer you Premium and standard qualities of WPC frames. We can provide you custom colour as well. Packaging Details: Each frame is packed in corrugated box with a pack of 4 pcs in 7ft length.